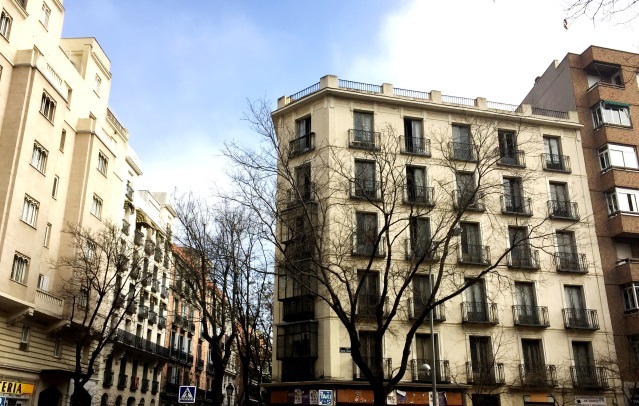 Amprop, together with its joint venture partner, Grosvenor Europe has acquired another property in the Chamberi district in Madrid, Spain. La Esquina de General Arrando, prominently located at the intersection of General Arrando and Santa Engracia streets within the affluent Almagro neighbourhood, will be transformed into a high end residential and commercial space. La Esquina de General Arrando is a 6 storey corner building measuring 1,800 sqm (19,375 sq ft) with a listed façade. It will be refurbished into 18 stylish apartments including two unique terraced penthouses, with common facilities such as gym and concierge. A ground floor commercial space will enhance appeal of the scheme as it will be occupied by retailer, restaurant or bistro.